Japanese gardens are becoming more and more popular although they can be difficult to recreate if you don’t have a lot of land for your garden. 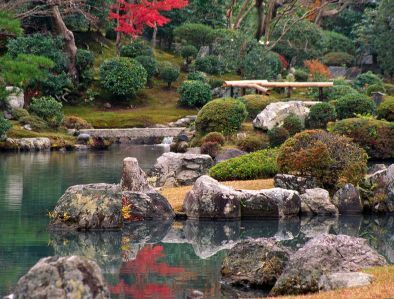 Traditionally, Japanese gardens have a small structure at the heart of the garden, either a home or a teahouse which looks out over the rest of the garden. Japanese gardens incorporate traditional elemental design that usually feature rocks, water in the form of a brook or a lake, a lantern somewhere in the garden, and a bridge or stepping stones.